ANIMAL NATION DOESN'T KNOW ANYTHING. : Albums of Influence - The Beach Boys' single - "Good Vibrations"
Albums of Influence - The Beach Boys' single - "Good Vibrations"
Good Vibrations was the first song to ever be recorded in what is now referred to as "modular" recording, meaning that it was the first song to ever be recorded in separate parts, then later spliced back together as to create the entire song. This was also the first song to use the studio as an instrument. Brian Wilson, then-leader of the the Beach Boys, spent nearly $50,000 on this song alone, over the course of 6 months, spent throughout 17 recording sessions in 4 separate studios. This song inspired countless recordings, including the Beatles' own "Strawberry Fields", and "A Day in the Life". It also inspired Brian Wilson to create an entire album of songs that were to be made in the "modular" recording fashion. Unfortunately, after hearing the Beatles' new work "Sgt. Peppers", which was supposed to include both "Strawberry Fields", and "A Day in the Life" (both of which were inspired by Wilson's "Good Vibrations") Brian Wilson had a mental breakdown, claiming that the Beatles' beat him to the sound he was trying to achieve. Although, his severe paranoia (he once thought that his song "Fire" was causing fires to spring up all around his Californian residence), and heavy cocaine use probably weren't helping anything either. Forty years later the mythical album, SMiLE, that was to accompany "Good Vibrations" finally came out. It was still amazing to hear, and nice to know that Wilson had finally been able to put it out and get it off his chest, but one can only imagine what it would have sounded like if a twenty-something year-old Brian Wilson had created what he originally intended to create in the first place. 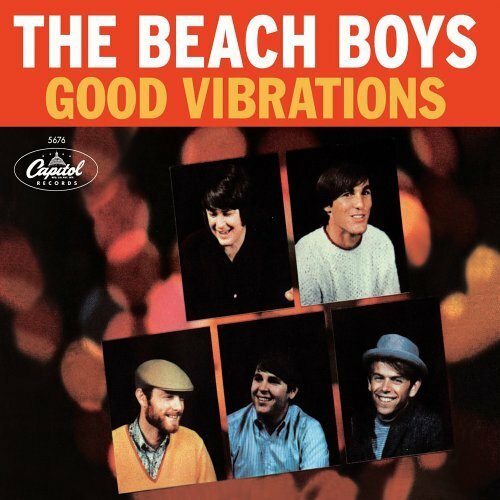 An album full of "Good Vibrations". 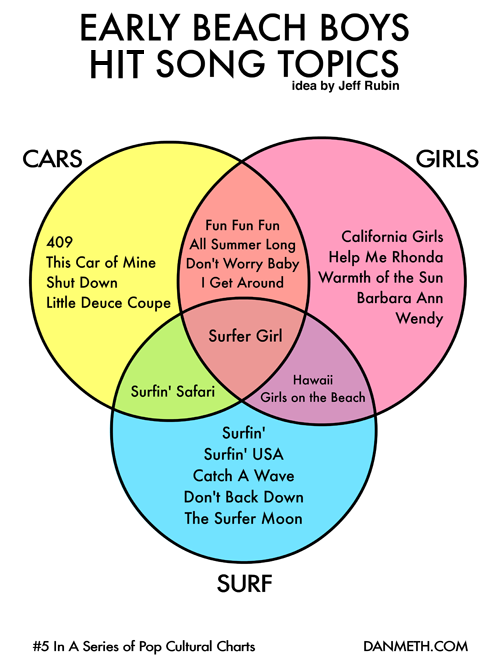 Other great Beach Boys albums include the incredibly amazing "Pet Sounds", and, if you're into surfing, girls, and classic cars, then just about everything else by the Beach Boys is really good too.